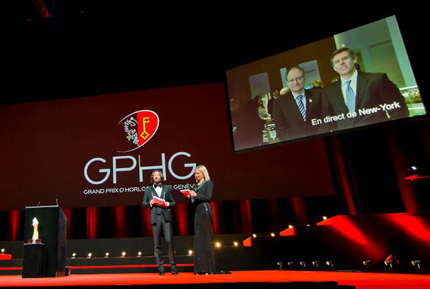 If you are an avid reader of Worldtempus, you know that I was asked to be on the jury of the Grand Prix d'Horlogerie de Genève (GPHG) this year. This is certainly an honor, but even more than that it allowed me a detailed view of how the watch industry's “Oscars” work. And, to my pleasant surprise, I must say that the hard work is rewarding in many ways that I would not have expected. The jury deliberations were tough, tougher than almost any other watch-related work I have ever undertaken, thanks to the extreme amount of incredible watches entered. The fourteen-man-strong jury was given the list of entrants from which to preselect…and, personally, it took me almost a whole day to wrestle with it. The preselected watches – ten in each category for a total of 70 altogether – were chosen thanks to a complicated point system each jury member sent directly to the notary. The full day the jury then took to discuss and handle the watches two weeks before the ceremony was an eye-opener: made up of journalists, historians, collectors, and auctioneers, various details of each aspect of each watch were thoroughly discussed and inspected. At the end of the day, I felt elated to have made hard choices and exhausted as if I had just run a marathon. Once again, the actual voting was done in secret and given right to the notary, so I had no idea until the evening of November 15 who the big winners were, just like everyone else. I was literally on the edge of my seat throughout the show. I'd like to say right off that I feel that Richard Mille became a victim of his own exceptional 2012 collection. Having entered many watches, five were preselected after the first round of voting was done. 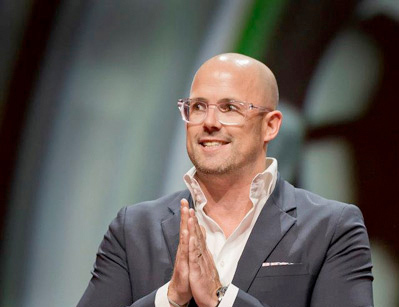 While this was encouraging, it was also shame because I feel that Mille's designs this year were decidedly inspired and that his brand's technology only gets better from year to year. In fact, he probably could have run his own 2012 Grand Prix! The reason I say the brand became of victim of this is because the psychology of having to choose the best of any of these designs (particularly when you are comparing apples to oranges anyway) is absolutely daunting. The five preselected Richard Mille timepieces could certainly have won the categories they were entered into, and I am sure they were only millimeters away in each of them. Naturally, I was disappointed the brand wasn't honored in at least one category, and I can only hope that this does not demotivate the Richard Mille team as it has introduced superb and exceptional luxury timepieces this year. The voting also turned out a few other surprises that not one person in our industry would have forecast – and this is a good thing. The first prize given on Thursday evening was the public prize. Visitors to the various exhibition stops of the preselected watches around the world cast a vote for their favorite from the 70 preselected timepieces on display. One could also vote online through Worldtempus. I was surprised out of my seat to hear MB&F called to the stage for the Legacy Machine 1 – a highly limited timepiece by a little-known boutique brand. Exceptional though this piece is (it is one of my particular personal favorites of 2011), it can't be widely known – and had to compete against the likes of TAG Heuer, Montblanc and Hublot (all usual crowd-pleasers). What surprised me even more is that the jury also voted it the men's watch of the year – which means that both the experts and the public appreciated it equally. Could there be a better confirmation of one's work? Needless to say, founder and CEO Max Büsser was beside himself with joy. I would have been too. Which leads me to the happiest face of the evening: Jean-Christophe Babin. I have rarely seen a grown man so excited, even beating out Büsser for the widest smile on this particular evening. Which really says a lot. Deciding the Aiguille d'Or (Golden Hand) – the highest honor bestowed on a watch at the GPHG – is one of the hardest things you could ever make a poor watch journalist do. The jury decided to go about it in an orderly fashion: from the 70 preselected watches, each jury member chose one or two, giving the reasons out loud. This led to a short list of about 7 or 8. From there, we carefully narrowed it down to three. From those three, we did a secret written vote and handed it straight to the notary. The result was revealed as the final award on Thursday – and Babin practically flew on stage to receive his coveted prize. Babin told me something very interesting just after the win that evening. He had had the idea for the Mikrogirder at the previous year's GPHG: De Bethune had just deservedly won the Aiguille d'Or and that company's CEO Pierre Jacques had said on stage that they hoped to soon have the highest frequency watch ticking in the industry. Babin related that he sat in the audience thinking, “Oh no you don't….we'll do it first.” And he went back to his resident genius Guy Sémon and told him what they needed to accomplish – and the Mikrogirder was born. 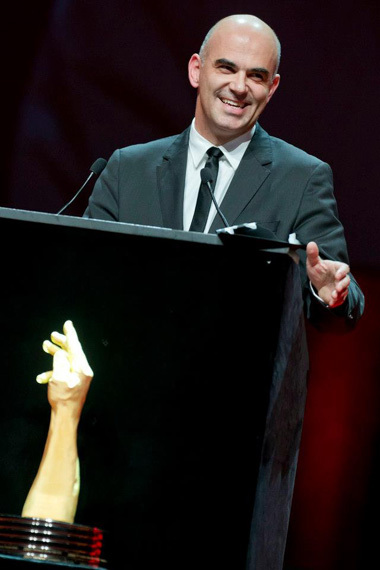 What an homage to boutique brand De Bethune and its resident genius Denis Flageollet, who was on the jury this year as the winner of the Aiguille d'Or! Another deliberation similar to that of the Aiguille d'Or is the best watchmaker/concepteur of the year. Our industry is filled with so many wonderful, beautiful, creative minds that narrowing the list down to just one is a near impossibility. We decided it much the same way as the Aiguille d'Or. As the words “Carole Forestier-Kasapi” came out of my colleague Paola Pujia's mouth, I couldn't help myself: I clapped. It was just so perfect, so right, so deserved! And, yes, Forestier-Kasapi is a woman – but that was not my only reason for being so excited by this choice. She is simply genius. And humble. And she has literally transformed Cartier – not to mention the work she accomplished before she ever reached the renowned jewelry brand. Apparently my esteemed colleagues of the GPHG jury agreed. 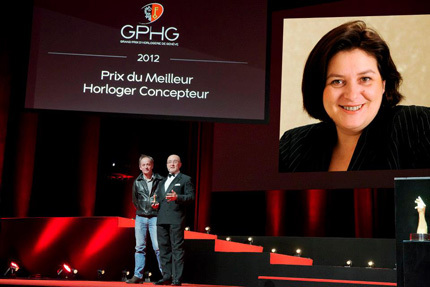 I only have one question to ask: why was she not at the GPHG to accept her well-deserved honor? As happy as I had been for the previous recipients of the awards, I was devastated that I was not to be able to share this exceptional moment with her. Great pains were taken at this year's GPHG to make the show interesting for the whole world, and thus it was broadcast live at Tourneau's Madison Avenue location, where clients and visitors were treated to a glass of champagne, some lunch and talks with jury member and collector Marcel Philippe, who is also the assistant district attorney for New York City. Throughout this entire article, you have probably been wondering why I keep referencing the twelfth art? Let me explain…last year GPHG president Carlo Lamprecht referred to time measurement as “the twelfth art,” a fitting description, particularly since the award has just gone through its twelfth edition in 2012. He chose twelve since this is the “fetish number” for timekeeping. To underscore the artistic relevance, the GPHG not only engaged famous industry artisans such as Eric Giroud (design), Anita Porchet (enameling) and André Martinez (miniature painting) to present various awards, but also collaborated with Geneva's University of Art and Design to realize 12 short films for each of the awards and the incredibly backdrop of the glass cases housing the 70 preselected watches on their world tour.